SNT Access, Communications, Elevators and Lift, and authorized dealer-partners of Acorn, Aiphone, Cisco ,EZ Access, Keri Systems, Otis Elevators, Prism Medical,Cemcolifts, Sterling and Bruno have been making life easier for millions of people around the world. As one of the world's leading providers of accessibility lifting equipment, our SNT Cares Division is focused on helping to "break the barriers" caused by stairs and entranceways. Indoors and out - in homes, churches, lodges, stores, office buildings, factories and schools. · Stair Lifts - When climbing the stairs becomes difficult, there's no need to go through the hassle and expense of leaving the home you love for the sake of mobility. A stair lift from SNT Access is a simple solution and safe alternative to stairs. It allows you to maintain your independence without making any dramatic changes to your life or structural changes to your home. With models to fit any budget, our stair lifts are a convenient solution. · Wheelchair Lifts - Whether you want to overcome a single step or bypass two floors, our wheelchair lifts offer a smooth, quiet ride, a lower profile, a smaller footprint, and a less costly alternative to elevators or unsightly ramps. Select the wheelchair lifts that best fits your needs from portable, self-enclosed, partial hoistway, hoistway or inclined models. LU/LA Elevators - "Limited Use/Limited Application" Elevators designed to meet the need for a scaled down, less expensive elevator for 2 and 3 story buildings where elevator usage would be limited. 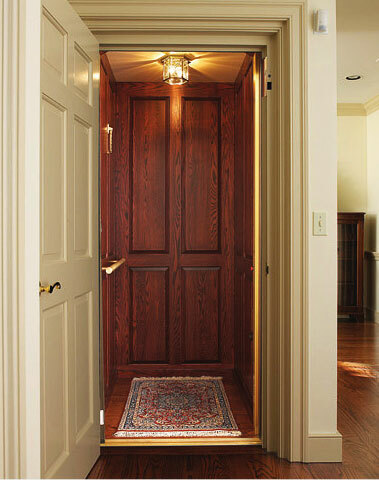 Commercial and Freight Elevators - Provide quality elevators to accomplish high volume traffic and larger sizes. Swimming Pool Alarms, Lifts, and Rails - We provide a large selection of Lovely and ADA Compliant Swimming Lifts, Pool Alarms, and Pool Rails. - Server equipment racks, cable ladder and sleeves for connectivity between wiring closets and server rooms. - Outside external environmental sheathed cable (connecting drops between buildings and to the telephone poles. - Licensed, bonded, and insured. Call SNT for Data Voice Services provides Cat5 and Cat6 cable installation services for areas within a 150 miles radius of Augusta, GA - CALL (706) 225-8938. Our business was founded to provide mobility and accessibility for all. Response was immediately overwhelming. Starting from a desire to assist an elderly couple to continue use all floors and keep their family home with three flights of stairs to becoming an industrial leader in the Residential Elevator and Stair Chair Lifts designer and supplier super support center. Modern Rolex timepieces use a very hard replica watches sale form of steel which is an alloy called 904L. In addition to being very corrosion resistant 904L steel is very difficult to machine. Engravers typically replica watches sale like working with softer metals such as gold, silver, or brass. While I didn't have a chance to discuss it with the engravers, Blaine did respond that the engravers offered a lot of complaints about the difficulty of engraving replica watches sale each watch. Well, despite complaints, the resulting engravings are gorgeous and done with replica watches sale extreme precision. These are world-class decorations that you'd find on the finest guns or blades. I am a big fan of engraved decorations on watches - and while I personally am not into tattoos, I don't mind swiss replica watches them at all on a wrist watch. According to MadeWorn, each of their watches takes about a month to engrave, and replica watches no two timepieces will be made alike.